For other uses, see Top hat (disambiguation). 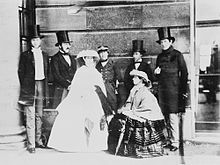 As of the early 21st century[update], top hats are still worn at some society events in the UK, notably at church weddings and racing meetings attended by members of the royal family, such as Royal Ascot. They remain part of the formal uniform of certain British institutions, such as the boy-choristers of King's College Choir. 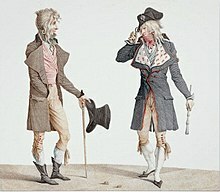 They are usually worn with morning dress or white tie, in dressage, and as part of servants' or doormen's livery. Between the latter part of 18th century and the early part of the 19th century, felted beaver fur was slowly replaced by silk "hatter's plush", though the silk topper met with resistance from those who preferred the beaver hat. The 1840s and the 1850s saw it reach its most extreme form, with ever-higher crowns and narrow brims. 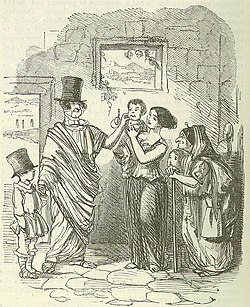 The stovepipe hat was a variety with mostly straight sides, while one with slightly convex sides was called the "chimney pot". The style we currently refer to as the stovepipe was popularized in the United States by Abraham Lincoln during his presidency; though it is postulated[by whom?] that he may never have called it stovepipe himself, but merely a silk hat or a plug hat. It is said[by whom?] 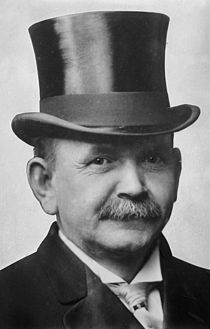 that Lincoln would keep important letters inside the hat. One of Lincoln's top hats is kept on display at the National Museum of American History in Washington, DC. 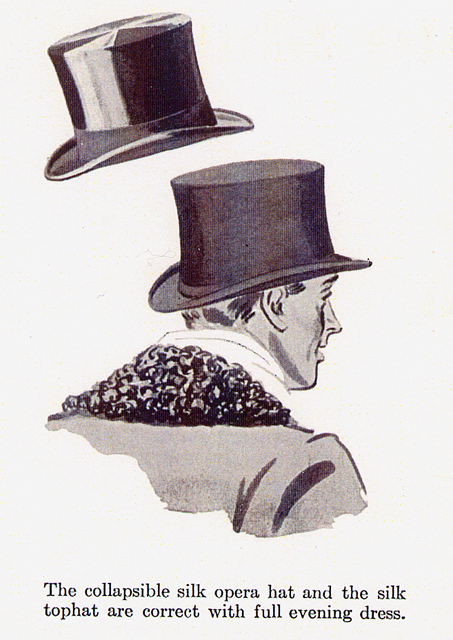 During the 19th century, the top hat developed from a fashion into a symbol of urban respectability, and this was assured when Prince Albert started wearing them in 1850; the rise in popularity of the silk plush top hat possibly led to a decline in beaver hats, sharply reducing the size of the beaver trapping industry in North America, though it is also postulated[by whom?] that the beaver numbers were also reducing at the same time. Whether it directly affected or was coincidental to the decline of the beaver trade is debatable. Wikimedia Commons has media related to Top hat.